Customer-based Design (also know as Human-centred Design) has the greatest impact when it is embraced by people across your organisation. Developing a common understanding of your customers, and applying a Design mindset in every aspect of your work will unlock significant value for your organisation. 3rdView has proven that equipping people in your organisation to apply Customer-based Design is an effective way to connect with customers, improve problem solving and drive sustainable business growth. We aim to build internal capability and ensure that your people consider the customer in every decision, system and interaction. We have developed a range of presentations, workshops, and learning programs from 1 hour executive briefings to multi-week immersion programs. Our signature programs, Customer-based Design Foundations™ and Customer Journey Mapping™ are available in-house and customised to your needs, or via a public program with the opportunity for your team to network with other Designers. Note: 16-17 May is now full. Please register for a later course, and let us know if you’d like to be on the May wait list. This program introduces participants to the tools, techniques and mindset used by 3rdView to deliver effective Customer-based Design. Suitable for leaders, customer strategists, CX practitioners and project teams… anyone who needs to consider different perspectives! 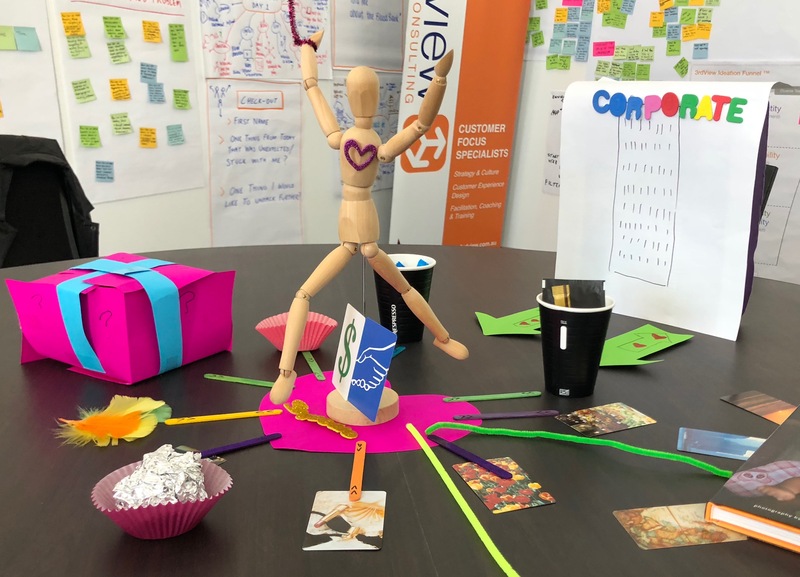 This program introduces participants to the tools, techniques and mindset used by 3rdView to develop powerful Customer Journey Maps that help organisations understand their customer perspective and drive change. Suitable for CX practitioners, project teams, and customer strategy roles… anyone who needs to consider different perspectives! Learn the tools and techniques for Customer Journey Mapping through real life experiences.